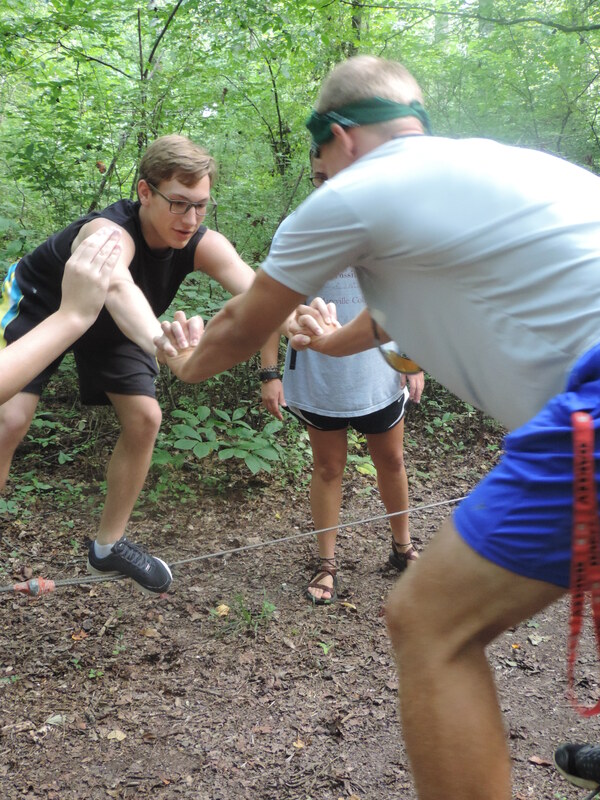 Today we went on a trip through the woods, an amazing 140 acre swath of greenery, for Maryville College’s premier outdoor education program, Mountain Challenge. For me, the trip was really an awesome experience. I learned a lot about myself and teamwork while getting to be outside. We started behind the Crawford house and learned each others’ names (which was good because I didn’t know half of my peers’ names). 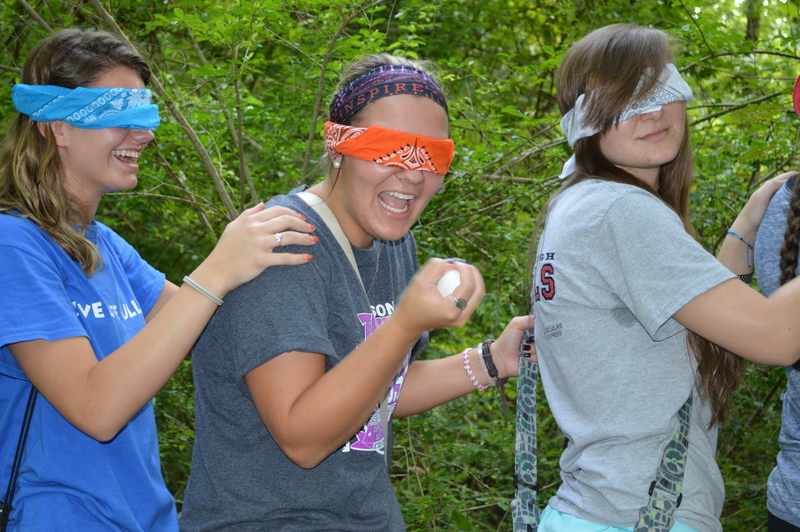 The peer mentors and Scots Science Scholars divided into two groups and set out into the woods. 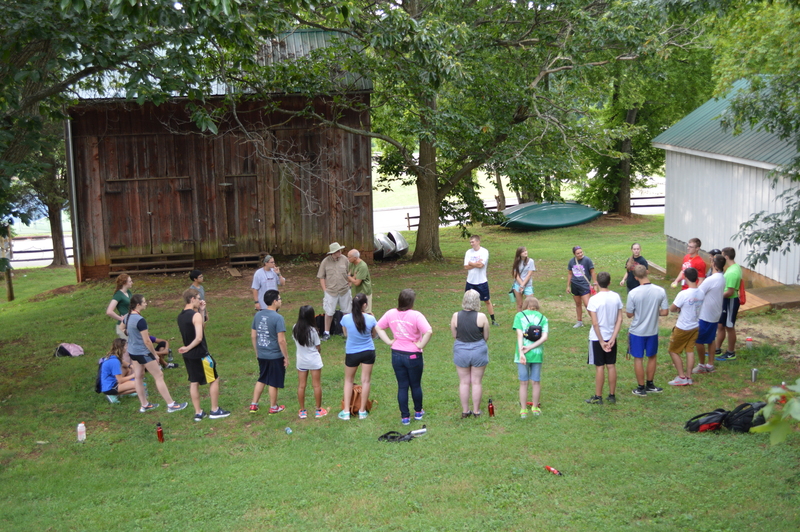 One group was led by Bruce Guillaume, Director of Mountain Challenge, and the other, my group, was led by Maryville College students Andrew Godfrey and Caitlyn Hogg. During the course of the journey both groups had to take care of an egg. This egg could not break and had to be passed around to every person before the events were over. This was done to teach us teamwork and responsibility. A short hike through the woods brought us to the Knoll Orchard. The Knoll Orchard contains cherry trees, peach trees, apple trees, just to name a few. The orchard plot is used for campus-wide research and is maintained by the college. In order to preserve the Maryville College woods, the campus has implemented a 100 year sustainability plan to keep the woods in good upkeep. This plan is one of many Maryville has put in place to keep the environment safe. We backtracked from the orchard and went to the first of the three challenges we did during the day. The seesaw, a log attached to off-center metal posts, was a bit difficult, but doable with the right communication. Our guides made the challenge a little more exciting by testing the group’s musical talent – we had to sing “Don’t Stop Believing” by Journey three times once the log was balanced. The next challenge was the A-frame. Two wires attached in a v-shape demanded pairs to “walk the tightrope”. We had to trust our partners to help us reach the end of the wires, the spaces of which grew wider than the beginning. Caitlyn and Andrew told us how balancing on this wire compares to college life, sometimes you have to lean on someone other than yourself to survive. Both groups came back together for the wall challenge. We had to devise a plan to get all 19 Scots Science Scholars over the wall. This involved the whole team: spotters, lifters, and climbers. Bruce Gillaume explained that every position was just as important as the others. It was amazing to see everyone climb the ten-foot vertical wall. The expressions on everyone’s sweaty faces were of pure joy. This feeling was not because of what each individual had done, but of what the team accomplished. 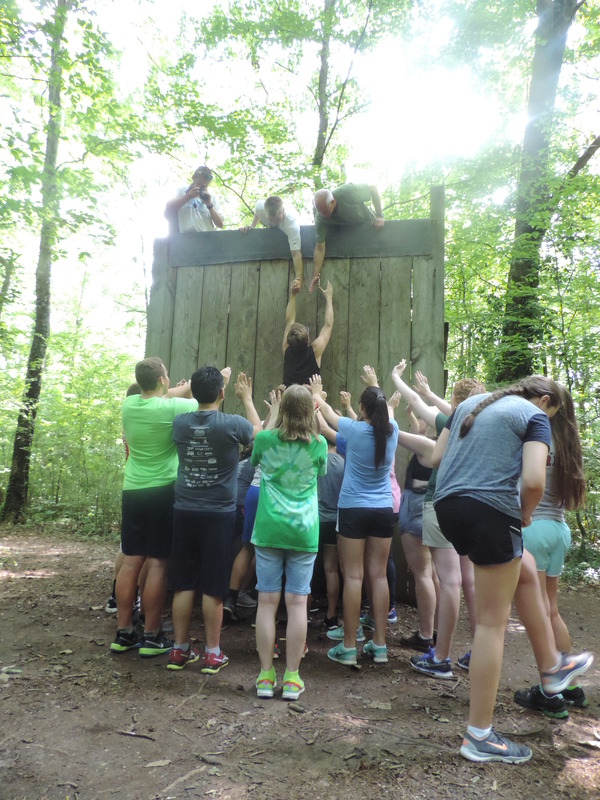 The overlying lessons we learned from the Mountain Challenge program highlighted the importance of balancing lifestyles, depending on others, and being determined. We pushed through obstacles we will face as college students and learned resources we will need to be successful can be found in others on campus and ourselves. We truly lived out the Maryville College Covenant – Scholarship, Respect, and Integrity. Zach scales the wall…with some help from team. 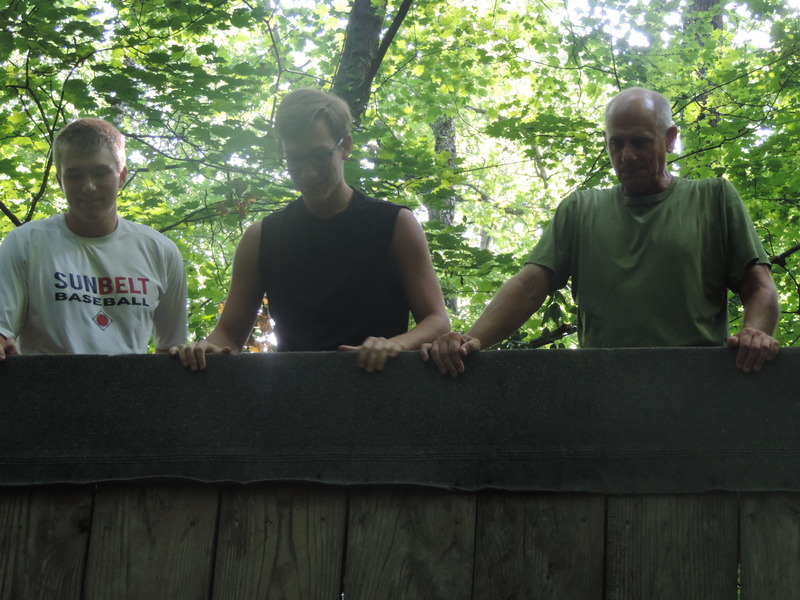 This entry was posted in Uncategorized and tagged Maryville College, Mountain Challenge, ropes course. Bookmark the permalink. Looks like a great day! We can’t wait to have you all out at Great Smoky Mountains Institute at Tremont later today….